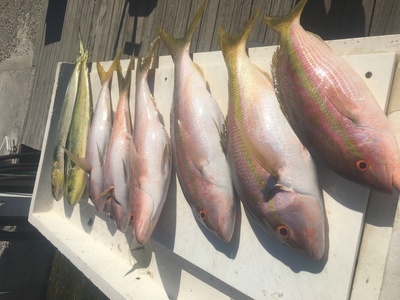 After hunting for Mahi Mahi all morning with not much success, Roy Boston and crew slayed the Yellowtail Snapper. Mahi-mahi was the crews target fish for the day. Thinking what to do to save the the day after striking only 2 Mahi, my top secret spot payed off. Lol! Bio: Who We Are Experience one of our unforgettable fishing trips. 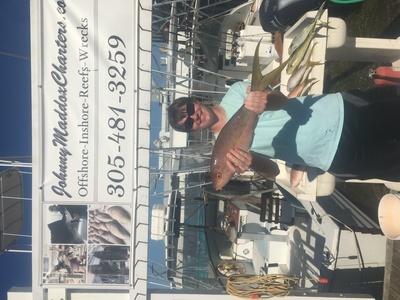 Johnny Maddox Charters SportFishing Adventures, based in Marathon, Florida, provides everything you need to enjoy some of the world's best fishing. 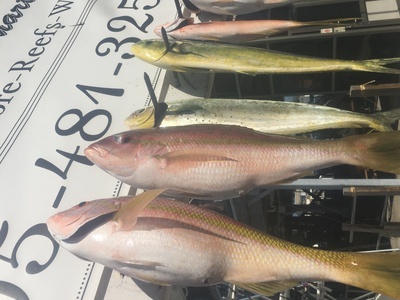 Captain Johnny and his experienced captains and crews offer the best and most productive fishing adventures in the tropical paradise of the Florida Keys. With more than 30 years of fishing experience, we are serious about fishing, but are also here to show you a good time. Come aboard and experience the thrill of catching that trophy fish. BOOK YOUR TRIP TODAY!